These landscapes were taken using a panoramic fuji disposable camera. I didn’t own a camera then. 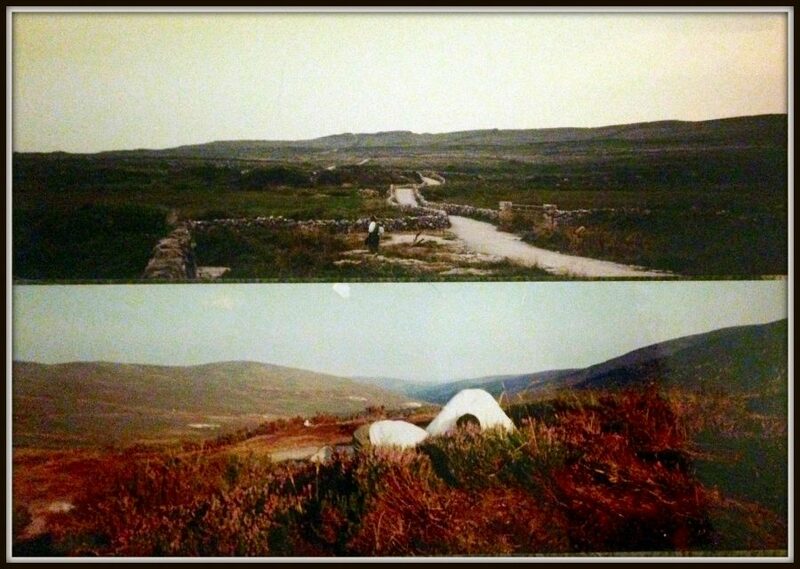 To give you an idea what Ireland is, I have to take shots of old photos. Please pardon the quality of these photographs. Exploring the lunar landscape of the Burren Region, we enjoyed a unique experience through its spectacular scenery, prehistoric sites and rare flora. We had no destination in mind, so just kept on walking and found plenty of megalithic stones. We even help an Irish family lost in the Burren. Showed them the way in exchange for a lift on our way out. The Burren is a remarkable bare limestone area with a combination of many unusual factors, its geology, its flora, its caves, its archaeology, its legends and its history. The rock area is carboniferous limestone which rises as terraced hills to over 1,000 ft. Hundreds of stone forts and megalithic tombs still stand in this area. 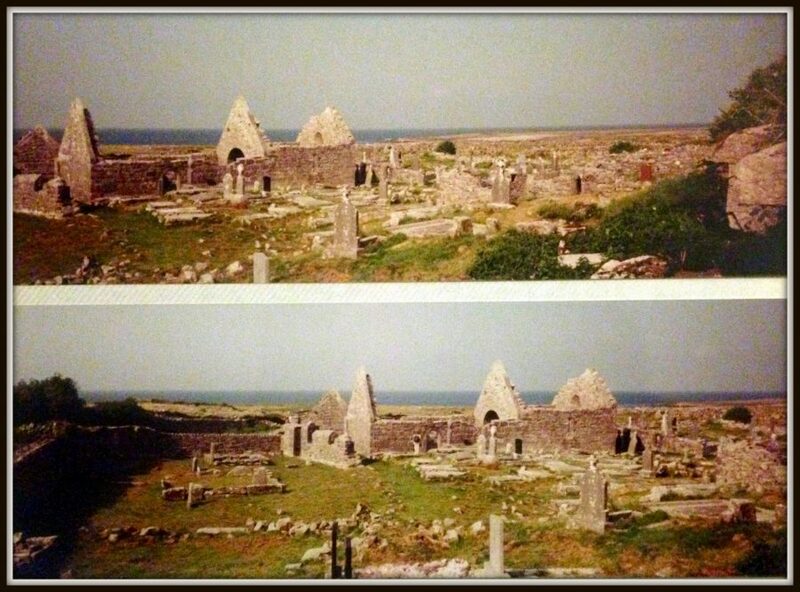 Aran Islands is part of County Galway. There are three islands, and we stayed in one of them. Celtic culture is thriving in this area. We stayed with the locals, partied with them in the middle of the town. They are known for their storytelling that hard to see whether they are telling the truth. No matter how many rooms you have in your house, you’re only able to sleep in one bed – it doesn’t matter how many possessions you have, we all have the same basic needs in life. 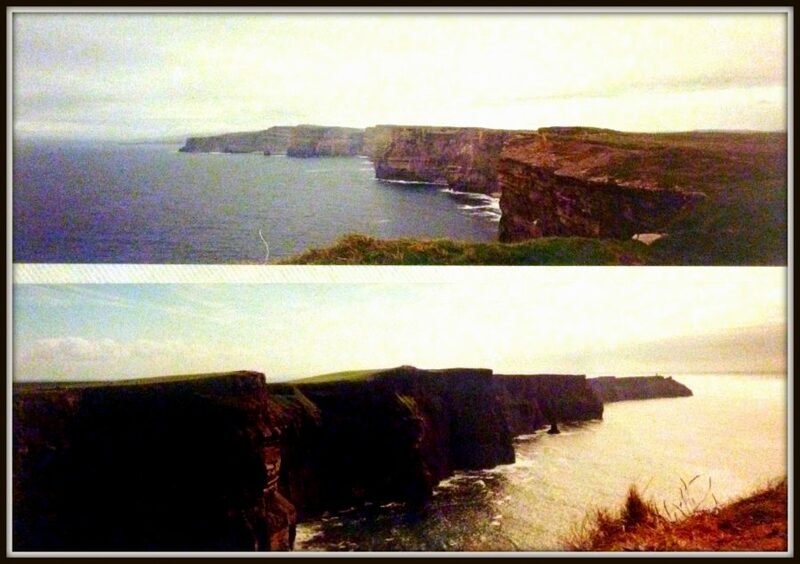 On a clear day, we can enjoy expansive views of the Aran Islands from walking along the Cliff of Moher. I survived the long walk on this windy cliff as if I could fly with the many birds that inhabit this area. Actually, I thought I was going to die falling off the cliff. We wanted to go to church, and we were pointed in this direction. We were more expecting a ‘live’ catholic church. These are beautiful memories of my friend Jan that I brought along with me for a retreat with Fr. Jim in Ireland. We stayed for a week of spiritual nourishment at Chrysalis with other Irish people. At Chrysalis, it was the first time I’ve heard of vegan. There was no meat in this establishment that I hated hearing the bleat of the sheep. After two days, I have to go to the nearest (long) corner pub/store for a tin can of corned beef. I survived the retreat filled with wisdom that I am still digesting after all these years. In celebration, we went to the field of heather and smelt the flowers. And for an Irish blessing to all. Hope you enjoyed the landscape and a bit of story. 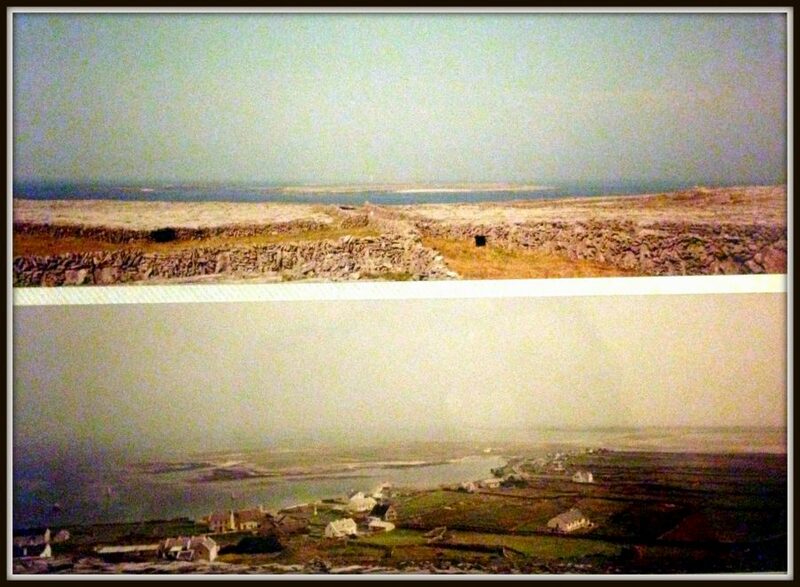 This entry was posted in Ireland, Ireland, Pause, Travel and tagged Ireland, Landscape, Lens-Artists, Photography, Pilgrimage, Quotes, Reflection, Travel by Perpetua. Bookmark the permalink. A great story Perpetua, and by the sound of it a great experience. I love the photos. They have a far away long time ago feel to them. A great effect even if you didin’t mean to! Thank you, Gavin, The idea came from you to start chronicling old photos to keep the memories. Great, well lets see more! Enjoy reading your beautiful memories. Thank you so much for these wonderful photos of Ireland. It looks like a trip you will always remember. These quotes and your thoughts help me think more about the differences. Thank you, Perpetua! Thank you, Amy. Photos are only good with the story. This trip made others in my family take a retreat as well and see the beauty of Ireland. The quotes are all Irish. Beautiful landscapes and stories to tell. I enjoyed them.. Thank you. The photos do not really do justice with my story since since digital cameras was not in the drawing board then.